One of the key roles in the club is our ‘Officials’ aka the ‘White Shirts’ who help officiate at galas, in particular at our own club championships and open meets. Each requires a significant number of officials – our Club Championships alone need 20 who are qualified. For all those who have been here for a few months or more one of the immediate ways you can give back to the club is to become a qualified Timekeeper or Judge (Level 1). We ask each family to be able to provide someone who can undertake one of these roles. You don’t need any previous experience – these courses are approached in such a way you will be given all the information you need and time to develop your confidence poolside. You’re also likely to learn a bit more about the sport to help your swimmer too! Please register now, using the form below. Given the importance of our officials all costs will be paid by Swim England South East or the club. Arun Leisure Centre (Felpham) on Wednesday 13th March at 6:30pm. 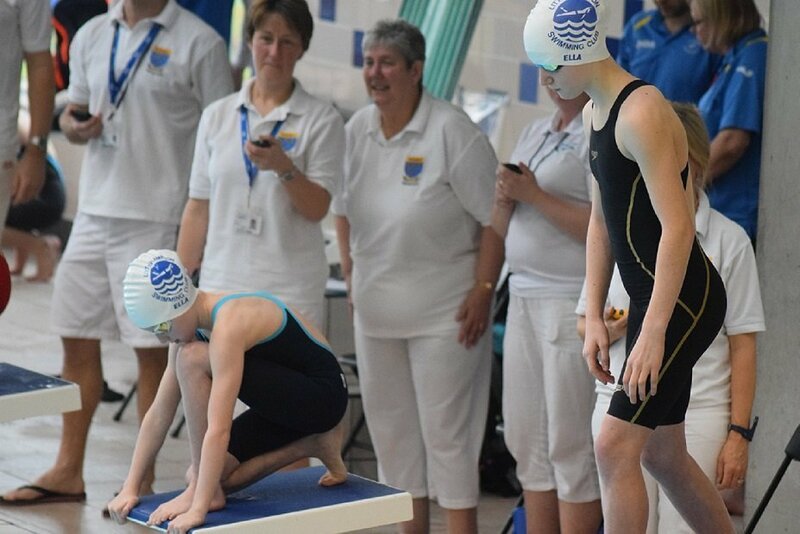 First stage is qualifying as a Timekeeper – around 2 hours classroom training (on 13th March) and a practical poolside session (dates to be confirmed). We’re pleased to have secured this training course locally for ourselves and other nearby clubs. If you have a swimmer who you need to keep busy at the same time we’ll also put on a training session for them, just let us know. Dorothy Stringer High School, Brighton on Sunday 10th March at 9:00am. Judge 1 builds on the timekeeper course for poolside duties such as Chief Timekeeper and Inspector of Turns. This starts with a classroom briefing and then over a period of time (normally 6 months to a year) practical sessions poolside with a mentor and under the guidance of a referee. Once your workbook is complete with the necessary experience and some short questions that have been reviewed by a referee then a final poolside assessment will take place. Although more involved than Timekeeper for those regularly at licenced galas (either our own meets or away) this offers free entry, a great poolside view and sometimes a free lunch thrown in! If your not already a qualified Timekeeper then you should sign up for both sessions above. If your interested but the dates do not work for you please let us know and we’ll see if there are any other alternatives later this year (although that is likely to mean a bit more travelling). Previous: Previous post: Club Kit – Swimzi Orders Open Now!